As part of its continuous efforts to explore new innovations and possibilities, general transcriptions provider TranscriptionWing™ has recently extended its reach to the public through social networking sites Facebook and Twitter. TranscriptionWing™ provides quality general transcription services to a wide range of sectors such as universities and businesses. The team is well-experienced in academic, conference call, focus group, interview, market research, podcast, seminar, and sermon transcriptions. Additionally, TranscriptionWing™ operates in a culture of confidentiality ensuring that all projects received remain completely private and secure. TranscriptionWing™ aims to improve interaction and support to its customers as well as reach out to new clientele through social media, hence its fanpage on Facebook and Twitter. Inquiries and suggestions posted via the fan pages may now be addressed by the team more conveniently. Site visitors can also share their experiences with TranscriptionWing™ and give feedback on its services. The TranscriptionWing™ social media pages will also update customers on current news and promotions regarding its continuously improving services, such as giveaways and referral discounts. TranscriptionWing™ offers top notch transcription services for as low as $1.29/recorded minute for a turnaround time of 5 business days. For files needed as soon as possible, TranscriptionWing™ also offers a delivery option of 4 hours TAT for $3.99/min, or 9 A.M. the next business day for $2.99/min. 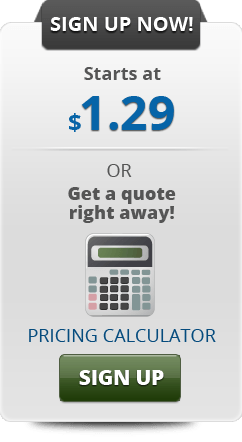 For a quick quotation of the preferred TAT for projects, check out their price calculator here. Clients can further customize their projects by opting for other services such as time-stamping and labeling speakers. TranscriptionWing™ is a New York-based company that provides fast, accurate, and cheap audio transcription services. TranscriptionWing™ specializes in general transcription services with fast turnaround times at very low transcription rates. It is under Civicom Inc., a reliable global leader in serving the marketing research community with advanced virtual communications solutions for the world’s top organizations, with a strong industry presence in facilitating virtual IDIs and focus groups, online multimedia boards, and mobile research. Civicom is powered by a combination of proprietary audio conferencing technology, online meeting software, web technology tools, superior recording capabilities, and a proprietary transcription system. For more information, visit https://www.transcriptionwing.com.